Passed away one year today. 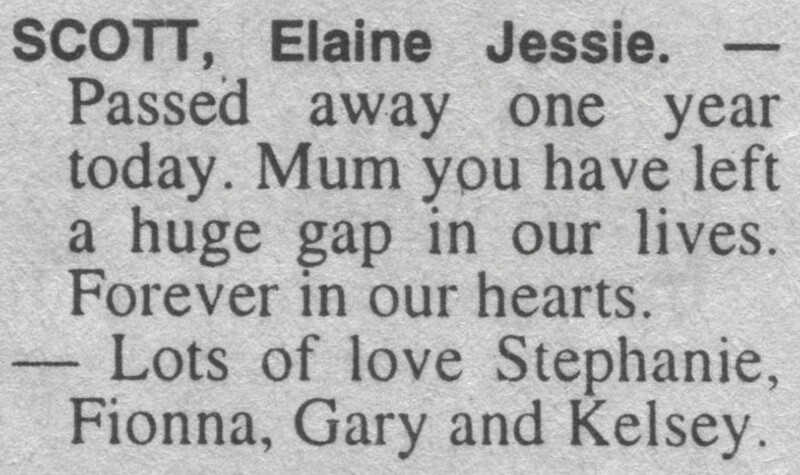 Mum you have left a huge gap in our lives. Lots of love Stephanie, Fionna, Gary and Kelsey.